Set in a most desirable location amidst mature landscaped garden grounds, the subject of sale forms a substantial detached villa. In immaculate order throughout and beautifully presented, Saris offers modern, bright and very versatile accommodation, which benefits from oil fired central heating, double glazing and a feature multi-fuel stove. The property would be ideally suited as a superb family home or has the potential to create a Bed & Breakfast business in an extremely buoyant market. The accommodation comprises - entrance vestibule, lounge with stove, open-plan kitchen, dining and sitting area, dining room, utility, shower room and study/5th bedroom all on the ground level. 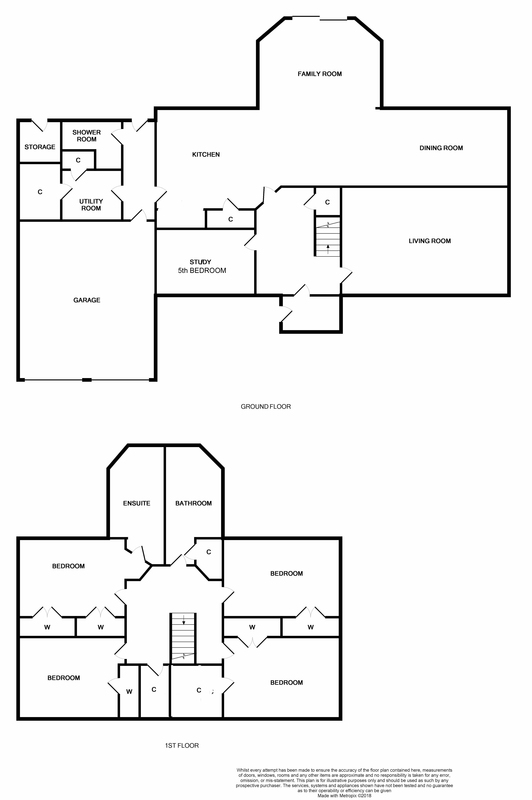 The upper level offers a spacious landing with four bedrooms, (master en-suite) and a large family bathroom. Peacefully situated, with views across the surrounding countryside, Saris forms a superior detached villa, set in generous, landscaped garden grounds with integral double garage. The setting is further complemented by the property itself, which has been architect designed and exhibits a light and bright contemporary interior, making a wonderful modern home. In immaculate order throughout, the property has been designed to create fantastic living space and enjoys well proportioned, bright and airy accommodation. The large open-plan kitchen, dining and sitting room provides a superb family area featuring patio doors to a private decked terrace. Further qualities include oil-fired underfloor heating to the ground floor and bathrooms, a spacious lounge with multi-fuel stove, a bespoke oak staircase leading to the expansive landing area, a generous master bedroom with en-suite shower room and oak internal doors and flooring, to mention but a few. The property’s layout provides the owners with flexible accommodation and offers a marvellous family home, however it also presents an opportunity to create a Bed & Breakfast business or premium holiday let, in a very buoyant letting market. The double garage with attic trusses, could provide further accommodation subject to planning. Enjoying landscaped garden grounds, Saris is approached by a shared entrance, which then leads to a private gravelled driveway leading to the double garage and front of the property, providing ample parking. The front grounds are laid in the main to lawn, offset with mature trees, shrubs and bushes whilst the rear garden providing the excellent decked terrace area with built-in BBQ and feature pond, ideal for entertaining. A vegetable garden with polytunnel is also located to the rear, with the remainder laid to lawn offset with mature trees. 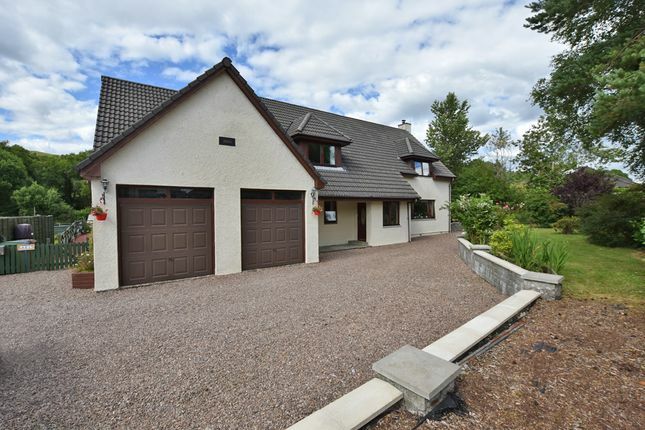 Tomonie is situated approximately 3 miles from Fort William and is walking distance from a range of amenities including a post office, shops, hotel, pub and well respected primary school nearby, while the local secondary school is in close proximity. The famous Caledonian Canal and community owned, oak woodland are located a short walk from the property. Saris is ideally placed for all the amenities and attractions the area, known as the ’Outdoor Capital of the UK’, has to offer. Travelling on the A830 from Fort William to Corpach, turn left where sign-posted Tomonie on to Wilson Way. After crossing the railway bridge, turn immediately right on to Achdalieli Road. Take the first right and the property is on the right hand side. Property descriptions and related information displayed on this page, with the exclusion of Running Costs data, are marketing materials provided by MacPhee & Partners LLP, and do not constitute property particulars. Please contact MacPhee & Partners LLP for full details and further information. The Running Costs data displayed on this page are provided by PrimeLocation to give an indication of potential running costs based on various data sources. PrimeLocation does not warrant or accept any responsibility for the accuracy or completeness of the property descriptions, related information or Running Costs data provided here.